Search all Topanga, CA homes and real estate listings. Topanga is an unincorporated area of Los Angeles County that runs from the peak of the Santa Monica Mountains to the Pacific Ocean. 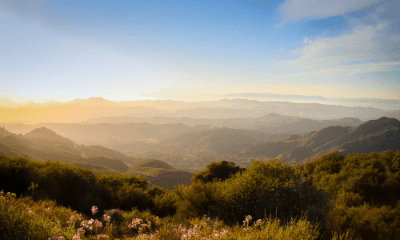 Topanga Canyon is well-known for two things; its natural surroundings and its free-spirited people. Living here means you're never too far from a stream, scenic overlook, waterfall, or hiking trail. Topanga transformed into a Bohemian enclave starting in the 1950s, attracting musicians, artists, and entertainers. That carefree spirit and laid-back vibe continue to this day. Register for a free account so that you can receive email alerts whenever new Topanga Canyon properties come on the market. Find a home you live in Topanga including the Topanga Oaks, Wildwood, Fernwood, Sylvia Park, Top O' Topanga, and Glanview neighborhoods. Review exterior features as well as the architectural style of the home. If any appliances are included with the sale, those will also be noted. When available, Topanga area information will be included along with local schools and similar homes for sale near the 90290 zip code. If you're buying a home, our full-service Topanga real estate agents are at-the-ready to assist you. If you're selling a home in the Topanga area, our listing agents will provide current market data, comparison properties (comps), and a highly-tailored marketing plan to make sure you get the best price for your home.